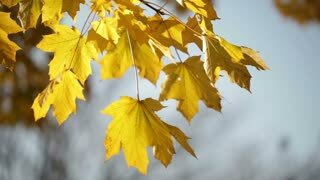 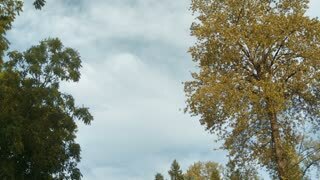 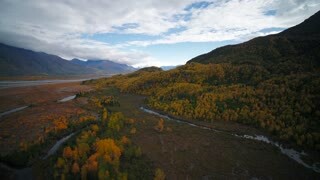 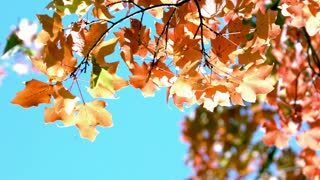 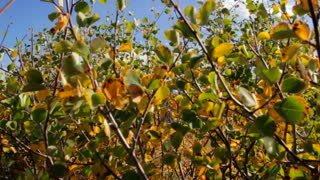 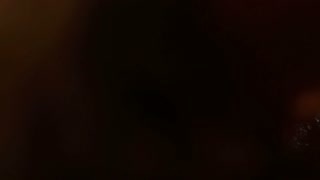 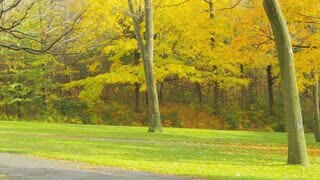 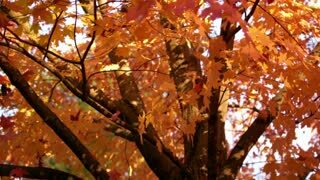 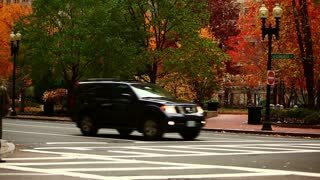 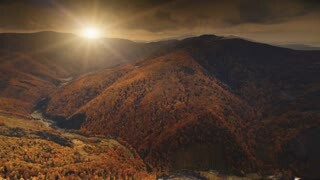 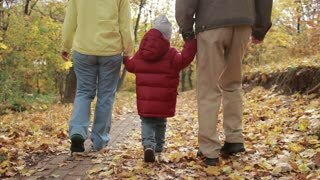 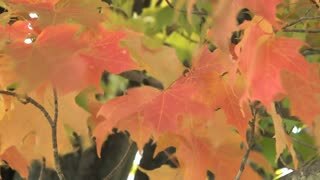 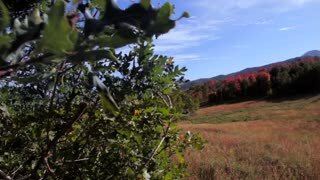 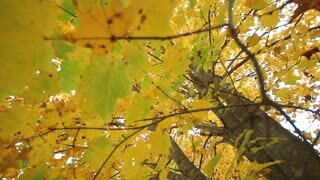 Add some sweater-weather comfort to projects with footage of leaves in all their spectacular reds, oranges, and golds. 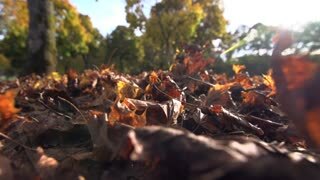 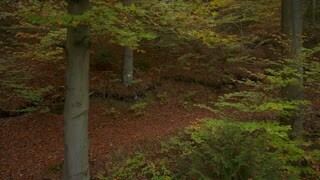 Autumn, leaves on ground, tracking shot. 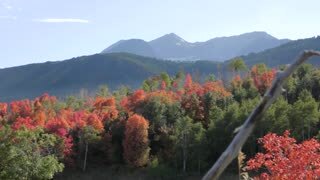 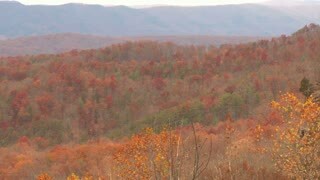 Autumn leaves blow in a breeze at Mt. 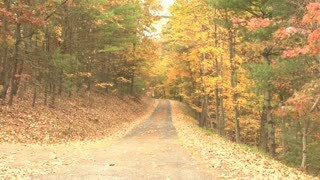 St. Helens National Park.